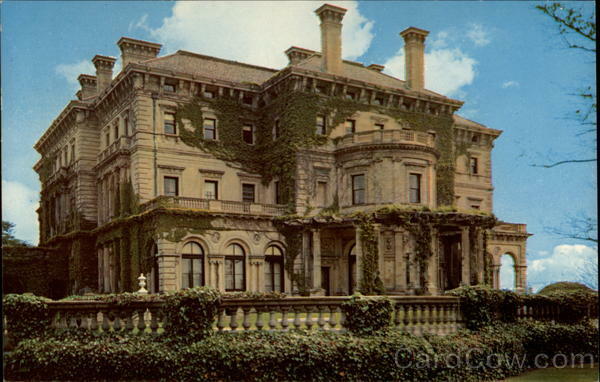 The Providence Journal has published an AP story called “Spat over Newport’s Vanderbilt family mansion, The Breakers, gets public and nasty.” The story concerns a proposed welcome center at The Breakers, but is really about how the Preservation Society of Newport County is managed, only part of which concerns the Breakers project. 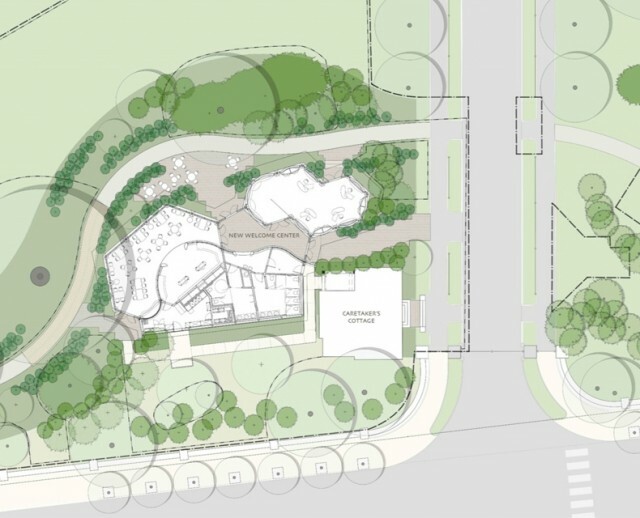 In 2012, another Newport preservation group, the Newport Restoration Foundation, proposed inviting celebrity modernist Maya Lin to redesign Queen Anne Square in Newport. Her design – perhaps softened by the massive protests against it – turned out less hurtful than I and others had feared. But the Society’s support for it, which angered many members, donors and supporters at the time, seemed to suggest a hubris, and a truckling to money and its conceits, that ill betokens one of Newport’s greatest institutions. Similar concerns arise in what seems to be a second round of social turmoil surrounding the Breakers welcome center. Maybe some of this is unavoidable, with the heightened tensions reflecting the heightened level of Newport society involved. A group called Preservation Society Friends, speaking on behalf of Vanderbilt heirs and family members with long personal association with The Breakers, accuses the organization of high-handedness and abandonment of mission. The charges are made with high acerbity, and they focus their animus mainly on Trudy Coxe, director of the Society for more than a decade and a half. The most serious accusation is that Coxe has been overly forceful in trying to turn the Society’s mission from preservation and education toward tourism and raising revenue. The society replies, with considerable plausibility, that preservation and education require more and more money as more tourists visit increasingly aged “cottages,” including The Breakers, which hosted almost half a million visitors last year. Whether the Society has successfully balanced its responsibilities under increasing duress is a fair subject for debate. Whether the Society has, as claimed, punished disagreement on these issues by staff or reduced its organizational transparancy are also fair subjects for debate. So is the possibility that the Society’s opponents have also displayed a degree of high-handedness that has perhaps caused the Society to overreact. Before the Friends group was created, opponents of the welcome center used some very low intellectual tactics to oppose it – as I wrote in “A fight over false ‘history’ in Newport.” But the Society itself bought into that very same low tactic. In general, it is fair to say that major nonprofit institutions in America, with much of its culture in their trust, have begun to mimic some of the most disagreeable aspects of their corporate cousins in commerce. Perhaps some of that, too, is affecting the noble character of the preservation society. So whether this is a story of NIMBYism run amok or of a fabled institution growing too big for its britches, I don’t know. Maybe there’s a happy middle mud pit where these issues can be addressed! Seriously, let us hope that cooler heads will prevail and that Newport’s preservationists can work out their differences amicably before the City by the Sea gets hurt. 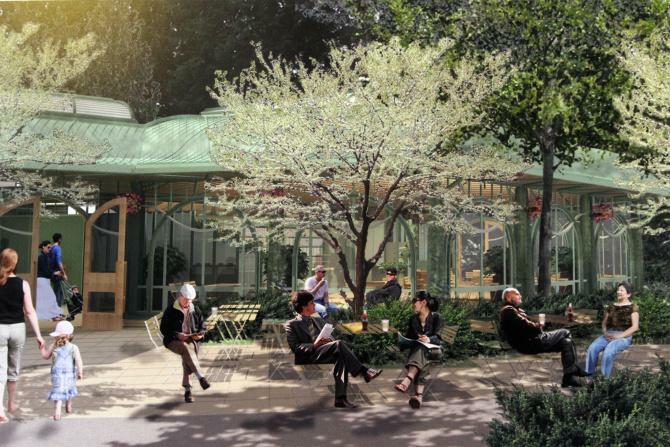 This entry was posted in Architecture, Architecture History, Development, Landscape Architecture, Rhode Island and tagged Maya Lin, Newport, Nonprofits, Preservation Society Friends, Preservation Society of Newport County, The Breakers, Trudy Coxe, Welcome Center. Bookmark the permalink.